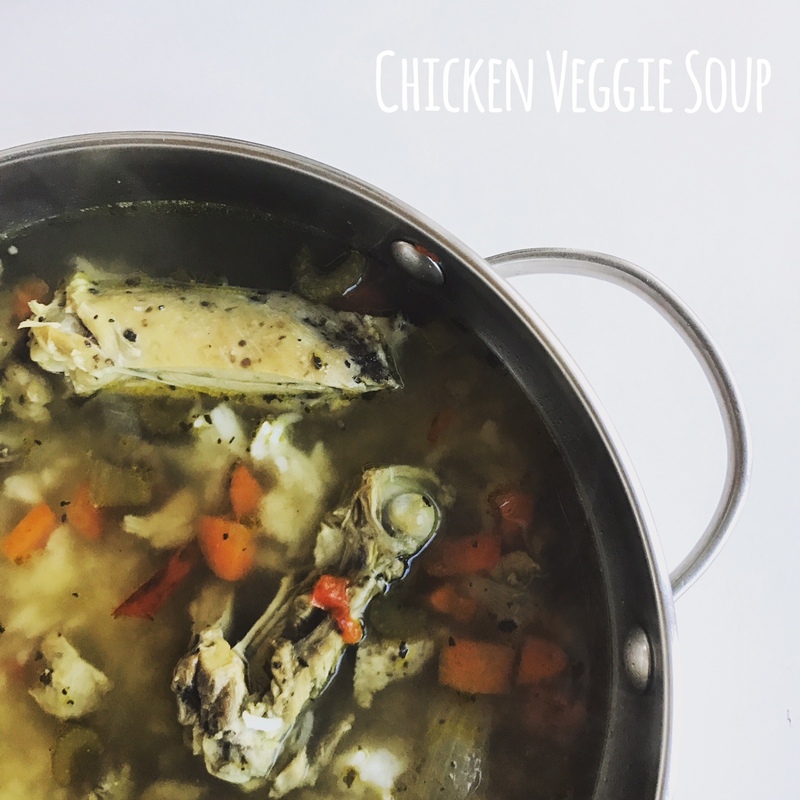 Improves Immune System:: All bone broth is nutritious, but broth made with marrow has even more benefits. Marrow is technically an organ meat, and organ meats tend to be extremely rich in nutrition. Marrow plays an important role in living creatures as a part of the immune system as its cells are necessary for immune function and bone growth. Bone broth also contains a variety of valuable nutrients in a form your body can easily absorb and use. Rich in Minerals:: Bone broth is extremely high in minerals. Cooking the bones for so long demineralizes the bones and releases the minerals into the broth. When using land animals, your broth will be rich in calcium, magnesium, potassium, and phosphorus. Fingernails, Joints, and Hair:: Bone broth contains glucosamine and chondroiton, known for helping maintain joint function, healthy hair, and strong fingernails. Supports Digestion:: The amino acids (glycine, glutamine) found in bone broth improves digestion through increased production of stomach acid, and maintenance of intestinal walls. 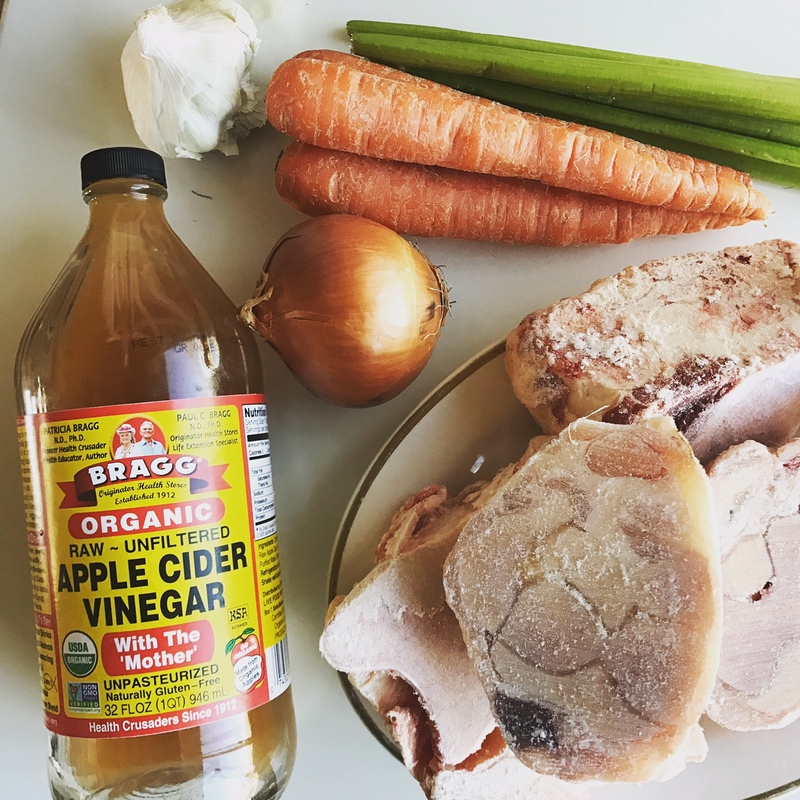 Quick tips on how we make our bone broth:: The quality of your bones makes ALL the difference in the quality of your broth, as does the type of bones you use. 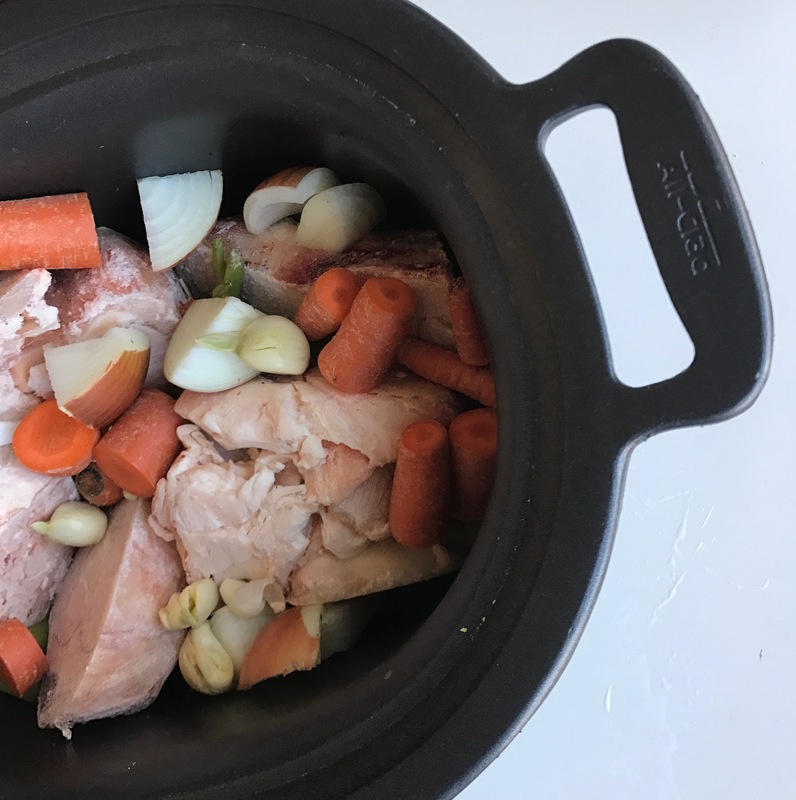 Some bone broth connoisseurs feel that roasting the bones first imparts a deeper flavor, this busy mom rarely has time for this added step. 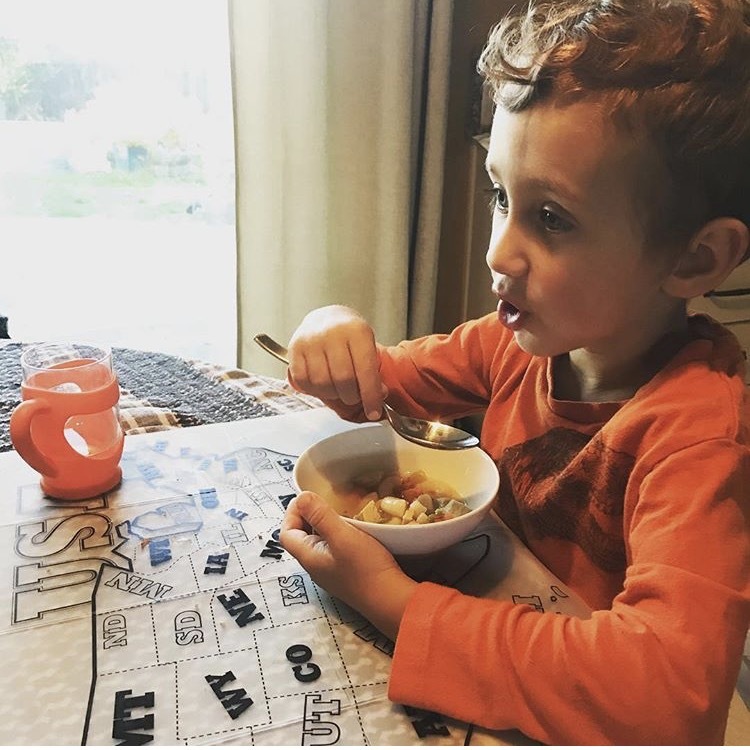 Instead, I throw the bones, chopped veggies, spices, and a few chugs of apple cider vinegar into my All-Clad Slow Cooker and let it go and go and go, for hours and hours. Once done, I strain the broth into large glass jars for using in soups, and cooking legumes/grains/etc. 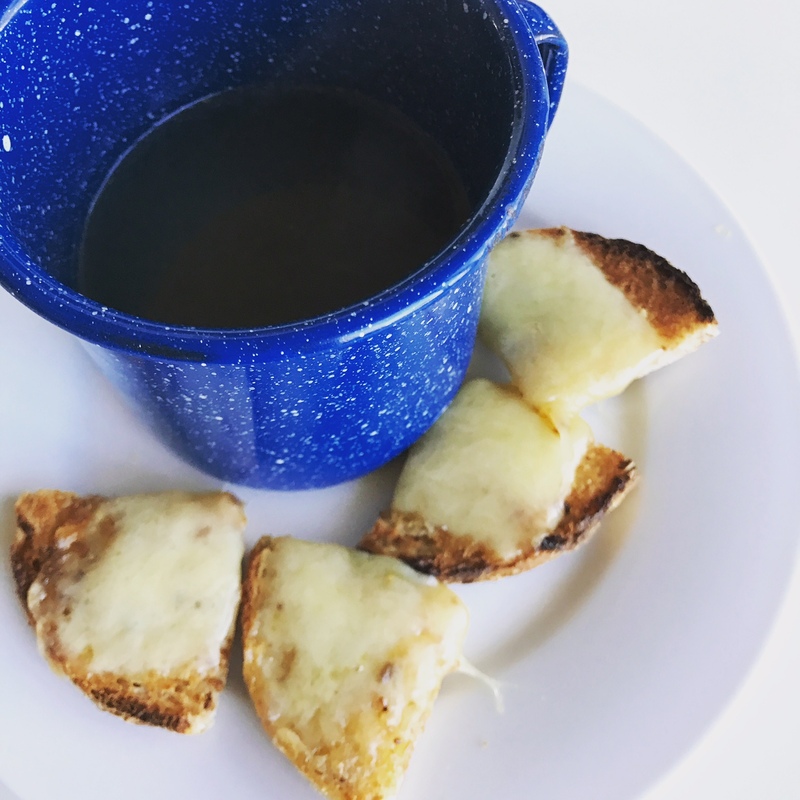 My favorite way to enjoy bone broth is warmed in a large mug, simply as is. Thanks for this detailed recipe! I just came from a baby food workshop that suggested giving bone broth to a baby to heal their gut after some food sensitivities. Your post gave me some much needed additional info to go ahead and make it!